Pilot Coater Continuous Web Transport Handling System with Selectable Tension (Load Cell Force Transducer Feedback) or Speed (Dual Encoder Feedback) Control Using Coordinated Sectional DC variable speed drives. 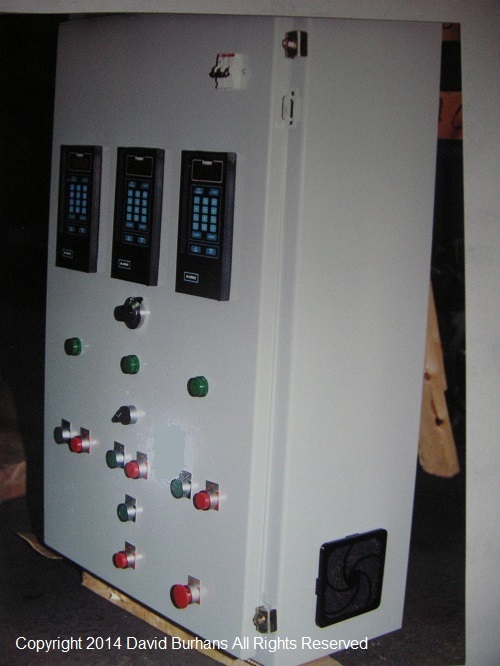 Load Cell Feedback Tension Control System for continuous web transport pilot coater with sectional coordinated DC variable speed drives in speed (encoder feedback) or torque (load cell feedback) control modes. lining of NASA Space Shuttle cargo bays.